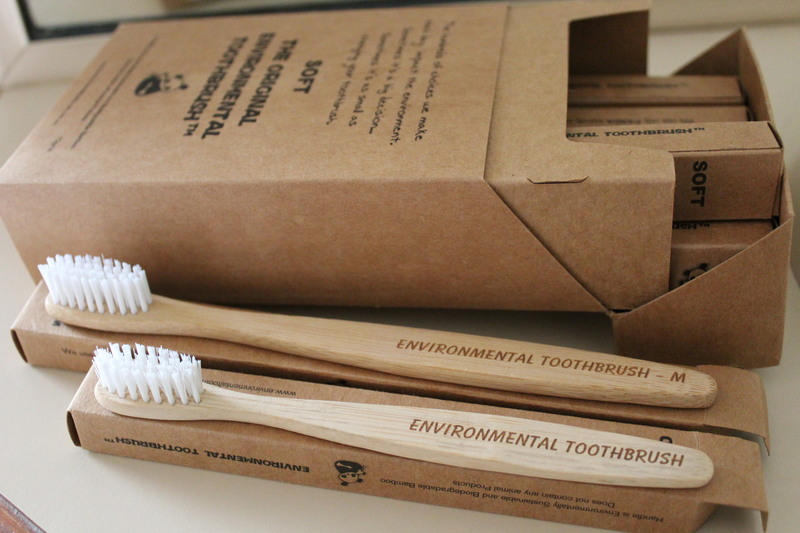 Compostable bamboo toothbrushes are a fantastic alternative to plastic toothbrushes. 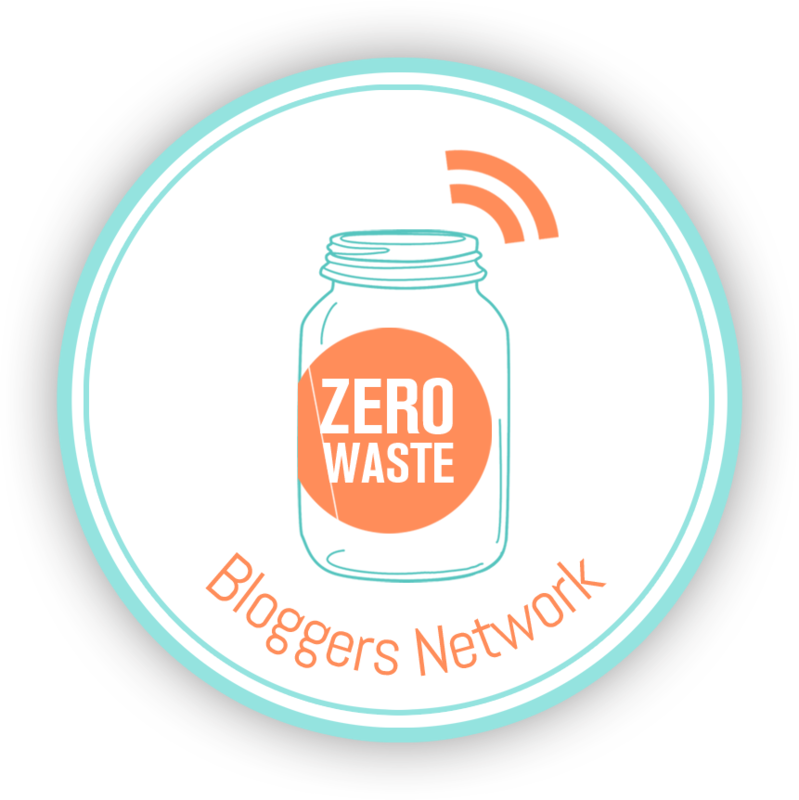 I couldn’t believe 30 million plastic toothbrushes are thrown out in Australia every year! And the plastic won’t break down in our or our children’s life time. This led me to do some research and buy a 12 pack of compostable bamboo toothbrushes. They come in children and adult sizes, and soft and medium bristle types. Bought online they are only $3 a brush. You can find them in some Gippsland stores if you look hard enough but they can cost anywhere from $4 to $7. We have been using our first brushes for almost three months and we love them! We cannot fault this product. Normally we would have to change toothbrushes every few weeks because of how quickly the bristles splayed and hurt our gums, but these ones are still going strong! Three months of use and the bristles have only just started to splay. We wrote our names on the handle, which is kind of a nice touch and the kids decided to colour theirs in. Unfortunately they used washable textas. Next time we’ll look for more lasting ways to creatively personalise the brushes. Before these brushes go in the compost I use them in my garden for labels. I found this idea on the web and I love it. You can buy The Environmental Toothbrush here. If the adult medium brush is sold out, scroll to the bottom of that page to find other toothbrushes for sale. My bamboo toothbrush repurposed in the garden as a plant identifier. “The bristles are made from a BPA FREE polymer resistant to microbial growth during normal use, to ensure safety and durability. We have tried to find a biodegradable bristle but as of this time there is nothing available – apart from boars hair (don’t want to go there). No they are not Nylon 4 (as far as we know there are no bristles made from Nylon 4 on the market today). This suggests that we need to bin the bristles before composting the handle. This post contains an affiliate link. Please refer to my disclosure statement for more information. Prev Ditch plastic produce bags, you can do better than that! Next Is a plastic free lifestyle expensive? These toothbrushes are great, I’ve been using them fora few years. I also use them in the garden as little stakes and name tags. Just FYI, plastic toothbrushes are now collected for recycling through Terracycle. So no more do they need to go to landfill. Thanks Julie :-). How do people get them to Terracycle? If you go on the website then you can look up drop off points near you, otherwise you can also collect them and post them in! Is there anywhere in Leongatha that I can buy the bamboo toothbrushes ??? Hi Kim, have you tried the Leongatha Health Food Store? I can’t remember if I saw them there or not, but I reckon if you asked they would be happy to help. If not, at least you and maybe some others will have planted a seed to get them thinking about supplying products like these. You might also find some at Udder and Hoe in Kilcunda if that is not too far away for you, but I haven’t been there yet to check. Good luck. All toothbrush bristles will splay because the person using the brush is applying too much pressure . Suggest you go to the dentist or hygienist to be shown how to brush correctly. Thanks for the suggestion Ellen but we do go to the dentist regularly and my kids and I attend the presentations given by dentists at the school and kindergarten. We are aware of how to brush correctly. Love these!! What a fabulous idea! What material are the bristles? What happens to them after use? Why can’t the plastic ones be recycled? Hi, I live in Mexico, how can I buy a few compostable toothbrushes? Follow the link in the post which will direct you to an online store. All the best. Got a section for Toothpaste yet? That’s a tricky one.. I don’t, but I have tried a homemade toothpaste. I’m not yet convinced it’s the best for the kids. Still looking into this one. These ones are completely compostable 🙂 We buy ours from the Williunga Green Light market in Adelaide, but here’s a link to one online store. I’m suspect of claims of full biodegradability. I see other brands of toothbrushes (and other products for that matter) claiming to use bio bristles, including the brand EcoToothbrush in the link just above. I see very little or zero substantiation for the claims, combined with typically overseas production. I regularly write to these companies to ask for more info. What I have found is that they are often using organic material combined with traditional plastic. While I’m not a scientist, if you know anything about marine plastics (which more and more of us do!) we all know that micro plastics are scary (eaten by the tiny creatures that form the foundations of the oceanic food web…..dun dun dunnnnn). If a product can’t prove that their material is not fully compostable and inert , not just forming tiny pieces of plastic, they should not be claiming a solution. I am fine with them saying ‘take the bristles out before composting the handle’, as it’s honest and clear. I know they are trying to provide a good solution, but I worry we’re going to end up with a soil pollution issue if we all start using these en masse and composting (I can dream). I’m totally with you on this. I don’t believe there are any compostable bristles out their. This post was written about a year ago and has been updated with information I got from the company since. The bamboo can still be reused and composted of course. 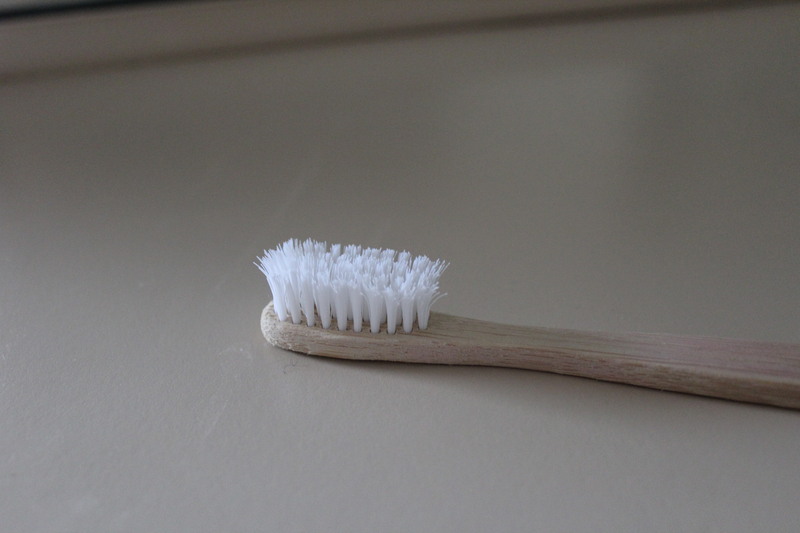 Have you looked into recyclable plastic toothbrushes or have any thoughts about how this compares to bamboo brushes? I like the bamboo brushes, and have bought them since I first heard about them from The Soap Dispensary back in Vancouver. When worn out, I reuse them as a cleaning tool, just like my mom always did! I only use homemade cleaner, so to my mind, they are still good for composting once the head’s been removed. 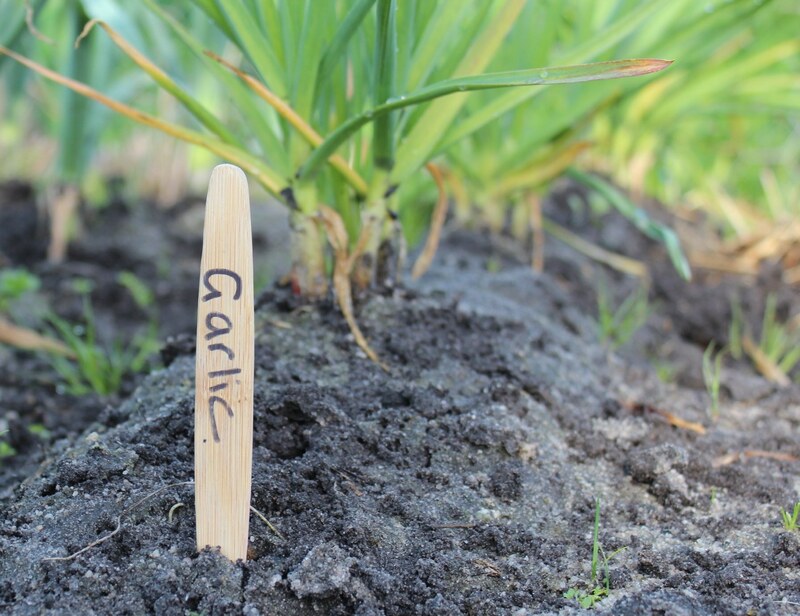 I also use them in the garden to label my plantings. Weirdest, yet handiest, reuse is probably to remove the head and fashion into an orange stick to use on my toe cuticles – works great! Re: plastic toothbrushes, I am pleased with that TerraCycle is doing the toothbrush brigade, since let’s face it, some people are going to prefer the ‘normal’ product, and that shouldn’t disqualify them from participating in the circular economy. Now for better dental floss! But I get 6 toothbrushes for $1 at Dollar Tree. It’s so hypocritical how hippies become the greediest individuals, if they find a way to make money (without working hard). “over the years we have been misled by our manufactures about our bristles being made of Nylon 4″… Hmmm; as an importer, that reeks of “made in China”. What happened to “buy locally”? I’m so sick of the double standards. Hi John, I’m a bit confused by your comment, so I’ll just clarify a few things from my end…. Dollar Tree is American so not local to me – I’m Australian and these toothbrushes are Australian owned, but yes made in China like lots and lots of other things in Australia. I support Australian owned and made all throughout my blog, to the point where I buy the more expensive products handmade by individuals and families in nearby towns (I live on a farm) whenever I find them. I do this because I care about local families and the environment, not because I have the money to spare. This passion for local is also reflected by my blog title “Gippsland” Unwrapped, which is the regional area I live in. 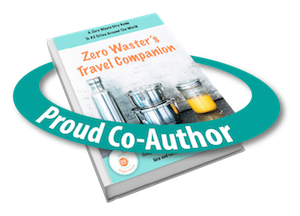 A lot of people have confused this blog post as meaning I am a seller of this product, when in fact I just used it, liked it, and so blogged about it. I still use them. After it was originally posted, new information came to hand and I added the quote from the company. I’m unsure if you are calling me a greedy hippy who doesn’t work hard or The Environmental Toothbrush company, or someone else, either way, I don’t understand the basis of this judgement. Could you please explain some more about your reasons for this comment?